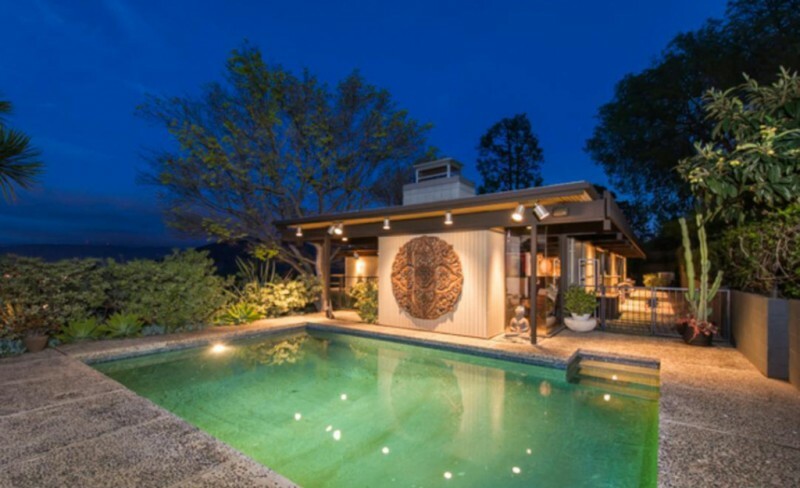 Actor James Woods has said goodbye to his Los Angeles-area home for $2.325 million. 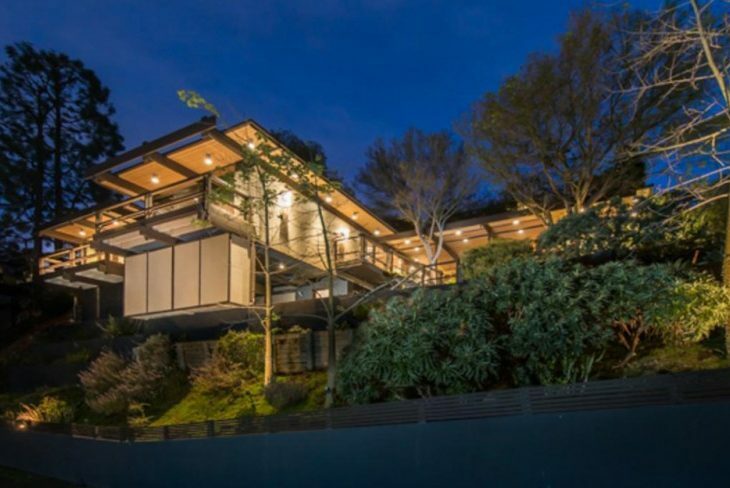 The two-time Oscar-nominated star listed the hillside mid-century modern residence for $2.65 million, but he ultimately accepted a lower offer. 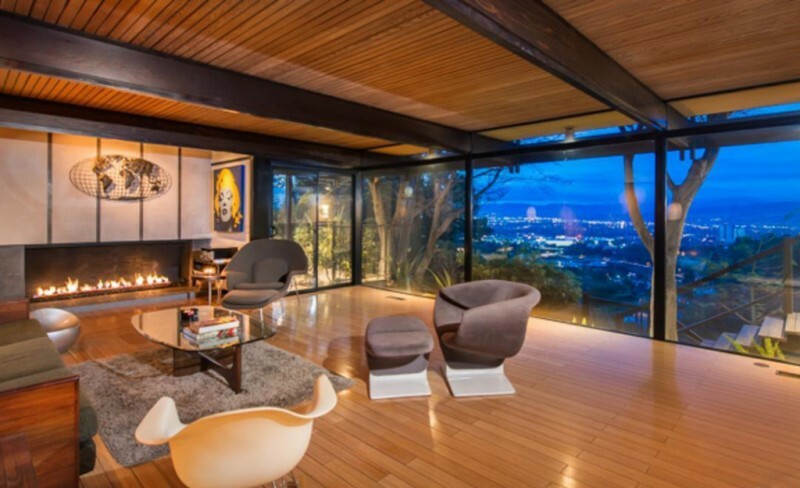 Located in the Cahuenga Pass area of the Hollywood Hills, the architectural gem of a home was designed by Buff and Hensman, and built in 1959. 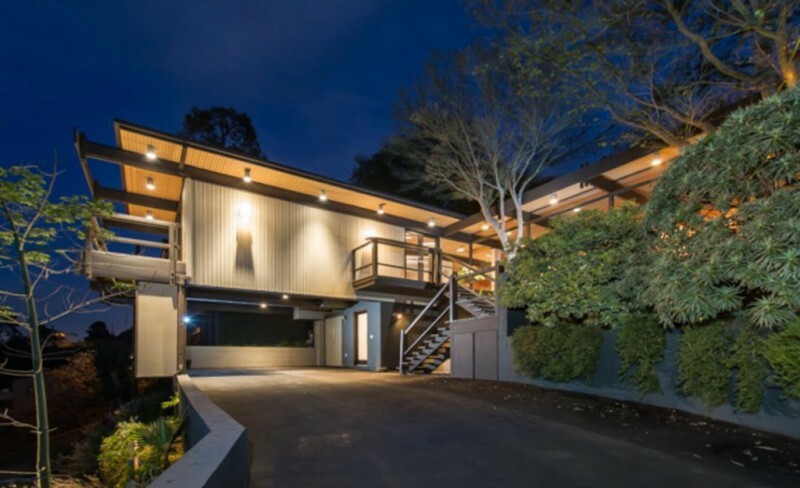 Following a 2002 renovation and expansion guided by the same design firm, the home is now a quintessential and somewhat idealized mid-century modern home, bearing many of the trademark cues in earnest. 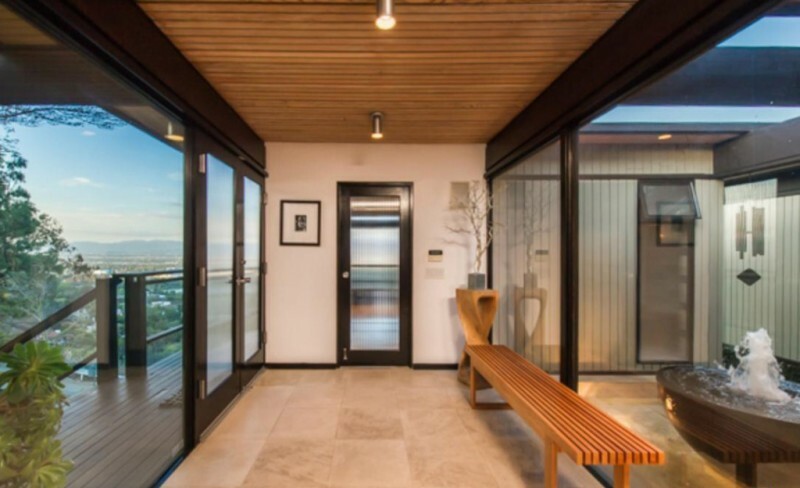 The multi-wing post-and-beam construction features accents like exposed ceiling beams…and, appealingly, bamboo floors, exactly the kind of material a modern-minded architect would have selected in 1959, had the ecological sensibilities of the era been similar to ours. The 2,167-square-foot home holds three bedrooms and three bathrooms. Walls of floor-to-ceiling windows offer incredible views of both the San Fernando Valley and Universal Studios from nearly every room. 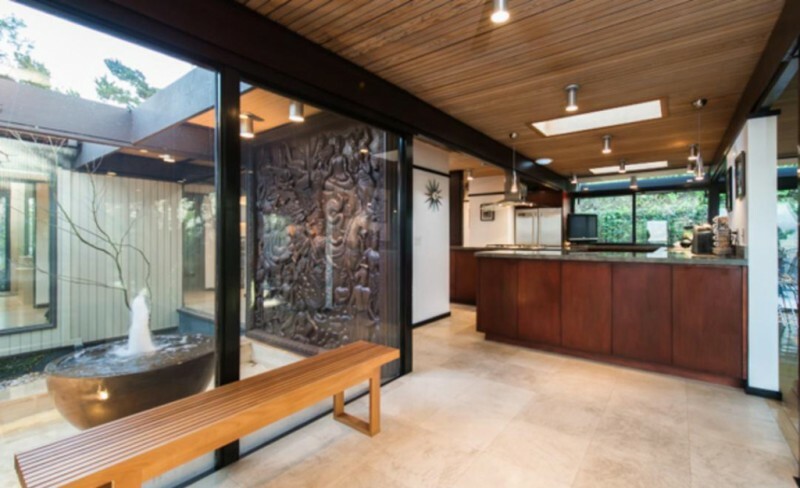 The central gathering space is an open-concept living room and kitchen; this central gathering place features abundant glass, a rectangular fireplace, and an eat-in kitchen. The master suite features a completely updated bathroom and a private covered deck. 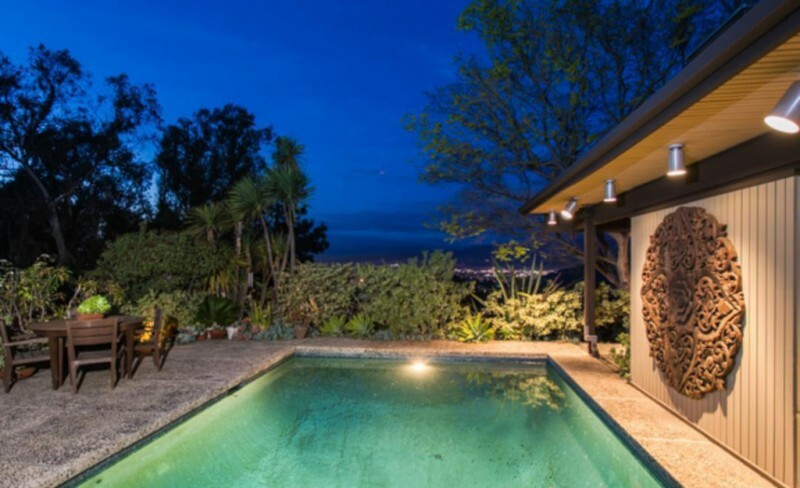 Outside, the lush hillside property features a swimming pool and a snack bar. Woods paid $2.2 million for the home in the spring of 2014.